Even angels make mistakes in this page-turning epic romance When her parents are murdered before her eyes, sixteen-year-old Helen Cartwright finds herself launched into an underground London where a mysterious organization called the Dictata controls the balance of good and evil. Helen learns that... read more she is one of three remaining angelic descendants charged with protecting the world's past, present, and future. Unbeknownst to her, she has been trained her whole life to accept this responsibility. Now, as she finds herself torn between the angelic brothers protecting her and the devastatingly handsome childhood friend who wants to destroy her, she must prepare to be brave, to be hunted, and above all to be strong, because temptation will be hard to resist, even for an angel. 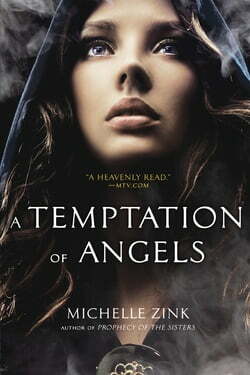 Michelle Zink masterfully weaves historical fantasy with paranormal romance to create a gripping tale of love and betrayal.